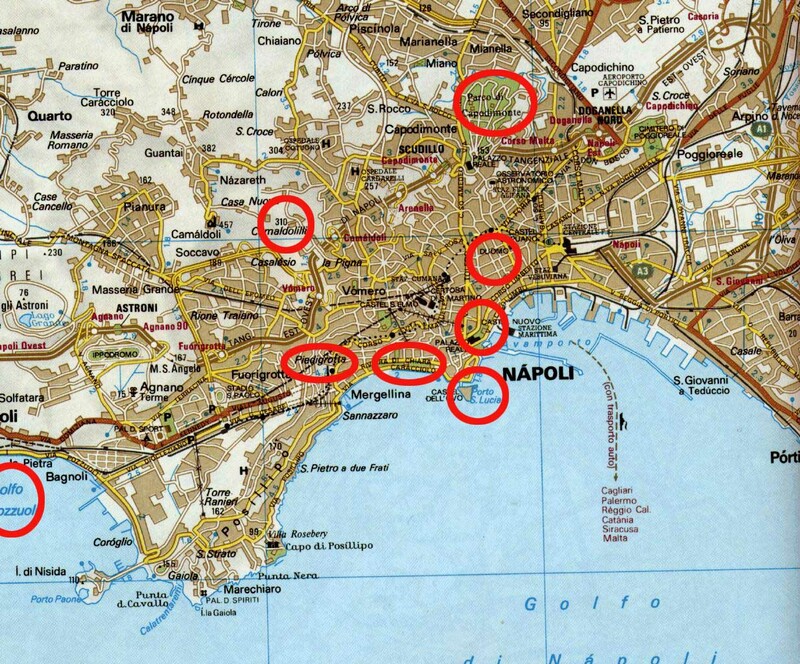 This map of modern Naples has a number of sections circled in red. Those sections are "live"—that is, if you click within the circle, you will link to a relevant article in the main entries of the encyclopedia. In turn, most of those articles are linked from within to other items.